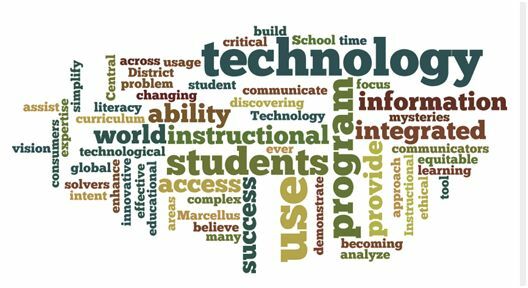 The vision of the Marcellus Central School District Instructional Technology program is to enhance the learning success of each student through an integrated instructional approach to the use of technology. We believe that all students will demonstrate information literacy through the ability to use instructional technology to access, analyze and communicate information and the ability to use the tool of technology to build success across all curriculum areas. The integrated use of educational technology will assist our students in becoming effective communicators, critical consumers, and innovative problem solvers in an ever changing and global world. It is the intent of our program to provide both equitable access and ethical usage. The focus of our program will be to provide the technological expertise for our students to simplify a complex world while at the same time discovering its many mysteries. The Teacher Resources button is just that, a collection of resources we thought you could use. Click to find out what is there! If you would like to see something added, please feel free to let me know.